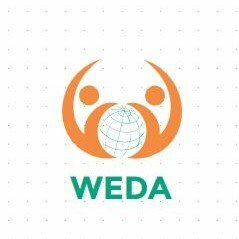 The WEDA Coalition was founded in 2011, as a group of Swartz-like minded constitutionalist collaborating to speak real truth, to real power. We believe that information should be free. We are firm believers that a man’s home is his castle as the United States Constitution says it is thus if our laptop, desktop, tablet, smartphone or Smart TV is inside our castle than it is constitutionally immoral and inhumane to peruse it. We believe that our own personal private information should not be sought or mined nor used like an Orwellian state to track and monitor us and that our personal data is not a fair trade to corporatist conglomerates in order to use their services for “free”. We are #OpStandUpToCFAA and believe that the computer Fraud and Abuse Act is a horrible betrayal to this Constitutional Republic and we will fight to amend this law once and for all. We are #OurInternet and will defend it until our last breath. We are an altruistic truth organization, not a News organization. We are Anonymous Family, we support freeanons.org, the Courage Foundation, and Wikileaks.